Doctors in some states seem to wield a freer hand issuing prescriptions for powerful narcotic medications, leading to wide variations in narcotic drug use among states, U.S. health officials reported Tuesday. Physicians in Alabama -- the state with the highest number of narcotic painkiller prescriptions -- issued nearly three times as many of those prescriptions as doctors in Hawaii -- the lowest prescribing state, according to researchers with the Centers for Disease Control and Prevention. 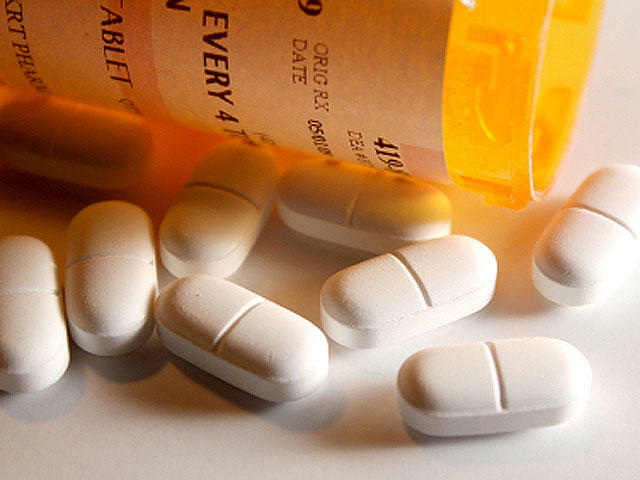 "The bottom line is we're not seeing consistent, effective, appropriate prescribing of painkillers across the nation, and this is a problem because of the deaths that result," Dr. Tom Frieden, director of the CDC, said at a news conference. Frieden added that every day 46 people die from an overdose of prescription painkillers. Overall, health-care providers wrote 259 million prescriptions for powerful painkillers in 2012, based on prescription data gathered from retail pharmacies by a commercial vendor, the CDC reported. "That's enough for every American adult to have their own bottle of pills," Frieden said. Ten of the highest prescribing states for narcotic painkillers are in the South, with Alabama, Tennessee and West Virginia leading the nation. The Northeast, especially Maine and New Hampshire, had the most prescriptions per person for long-acting/extended-release painkillers and for high-dose painkillers. Prescriptions for oxymorphone varied the most between states, out of all narcotic medications. Nearly 22 times as many prescriptions were written for oxymorphone in Tennessee as were written in Minnesota. But the CDC analysis also found that states that crack down on narcotic painkiller prescriptions can dramatically limit the number of overdose deaths. The CDC pointed to Florida as a major success story. "Florida shows that policy and enforcement matter. When you take serious action, you get encouraging results," Frieden said. The death rate from prescription drug overdoses in Florida decreased 23 percent between 2010 and 2012, after legislators and law enforcement took actions to crack down on the widespread availability of narcotic painkillers, the CDC said. The declines in Florida deaths linked to specific prescription painkillers -- oxycodone, methadone, and hydrocodone -- paralleled declines in prescribing rates for those drugs, the researchers said. Florida officials took action after drug overdose deaths surged 61 percent between 2003 and 2009, the CDC reported. The prescription drug epidemic in Florida became so rampant that other states were drawn into the drama, said Dr. M. Fahad Khan, assistant professor in the Department of Anesthesiology at NYU Langone Medical Center in New York City. "Practicing pain medicine all the way up here in New York did not mean you were immune to the problems going on in Florida, as many of our patients here in the state often had their opioid prescriptions started for them by doctors in the Sunshine State," Kahn said. "As a pain medicine specialist, your ears automatically perked up when you saw the patient's state of residence listed as Florida on your clinic intake form." The Florida state Legislature in 2010 implemented laws that strengthened regulation of pain clinics, which had been a major source of questionable narcotic drug prescriptions, the CDC said. The clinics had to register with the state, and were prohibited from dispensing narcotic painkillers from their offices. Law enforcement followed up with a series of high-profile raids across the state. All drug overdose deaths in Florida -- including prescription and illicit drugs -- decreased 18 percent from 2010 to 2012. And that dramatic decline occurred even though the death rate from heroin overdoses more than doubled in the same time period. Improve use of prescription drug monitoring programs, which can identify doctors and pharmacies that appear to be overprescribing narcotic painkillers. Tighten regulation of pain clinics. Increase people's access to substance abuse treatment. But even more effective would be a nationwide prescription monitoring database that crosses state lines, Kahn said. He has access to New York's prescription monitoring database, but finds it of limited use in checking his patients' medication use. "As a large portion of my patients reside in New Jersey or Connecticut, and therefore have their prescriptions filled there as well, these patients do not show up in the database at this time," Kahn said. Medical schools also can help by providing more training in addiction to future doctors, said Janina Kean, president and CEO of High Watch Recovery Center in Kent, Conn.
"Sometimes they have a single lecture in medical school on addiction, and that's it," Kean said. "They should have a significant rotation where they are trained in addiction medicine, so they can spot the warning signs in their patients."